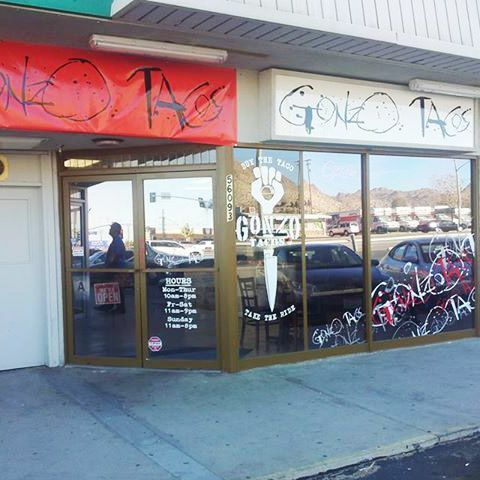 Maybe this is par for the course from a place that sports a Hunter S. Thompson-esque name and a Ralph Steadman font on its awning, but strangely, all signs point to Gonzo Tacos being well liked. Its Yelp page is filled with four- and five-star superlatives, plus some attention for its “non-traditional” menu and service. There’s no indication of what prompted the flame-out Facebook post, which now has more than 300 responses, but there were a few warning signs. An online review from August started off with praise for the food, but then shifted to an accusation that the owners were adhering to the Hunter S. Thompson lifestyle a little too closely. 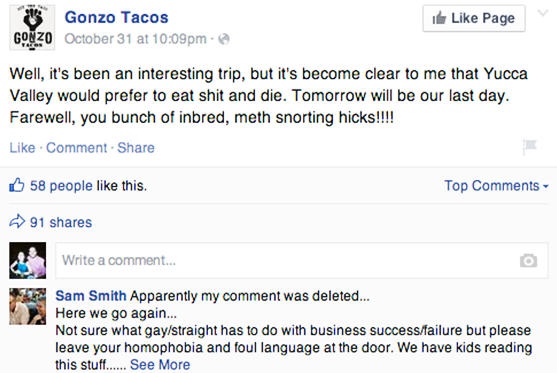 In short, Gonzo Tacos was perhaps too gonzo. “Yeah, well, that’s just, like, your opinion, man,” one replied on Yelp.